272 pages | 8 B/W Illus. Wubs makes an analysis of the company’s strategy, structure and performance in this period. Simultaneously, it explores the external conditions, which helped the company to survive the war. 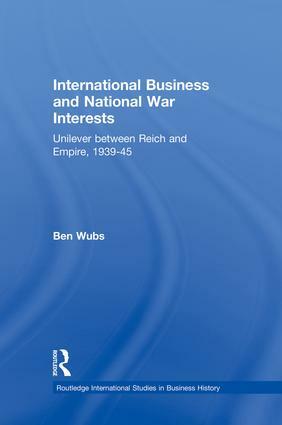 The author argues that Unilever survived World War II because the group had prepared itself legally well in advance. As a consequence, the company could easily be split in two autonomous parts. Unilever’s highly decentralized operating structure helped the company to survive the ambitious of the Nazi State. The deteriorating war conditions for Nazi Germany eventually worked to the advantage of the company. Besides, Unilever’s innovative attitude helped the company to adapt to completely new conditions of resource allocation.